MILWAUKEE — The Bureau of Alcohol, Tobacco, Firearms and Explosives (ATF) seeks the public’s help identifying individuals shown in surveillance video who are allegedly involved in threatening witnesses of a federal investigation. ATF offers a reward of up to $2,500 for information leading to the successful prosecution of guilty individuals. 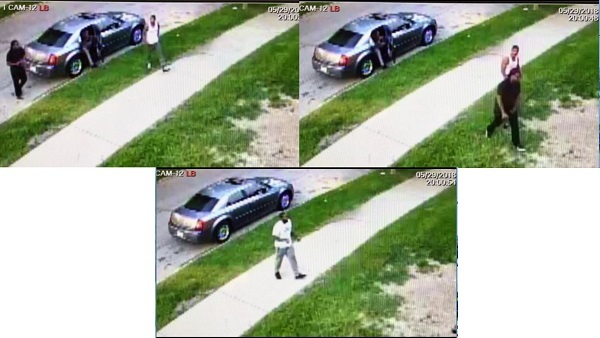 The 20-second surveillance video clip from May 29, 2018, depicts three individuals exiting a vehicle and walking off-screen. The black male in the white tank top, known as “Tay,” frequents the Milwaukee Sherman Park area. The video is posted on the ATF St. Paul Field Division’s Twitter page, @ATFStPaul. For higher-resolution video, please contact Public Information Officer Ashlee Sherrill. People with information regarding the identity and/or whereabouts of these individuals are urged to contact ATF at 1-888-ATF-TIPS (283-8477), ATFTips@atf.gov or submit an anonymous tip through the ReportIt app, available on Google Play and the Apple App Store. When reporting, be sure to include as many details as possible and contact information for potential follow up if a reward is sought.